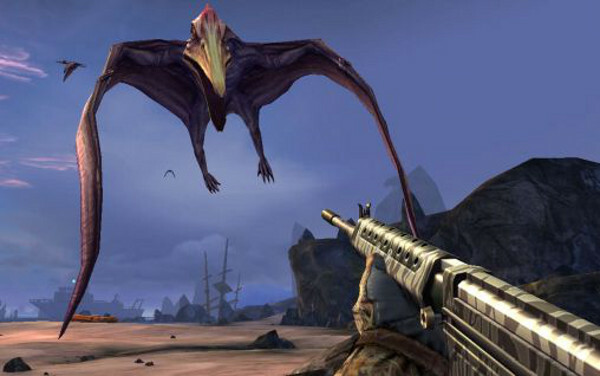 Basically our dino hunting missions are completed while using a variety of appropriate weapons - and when we say appropriate weapons what we mean is high-powered rifles, rocket launchers, military assault weapons - you get the picture. 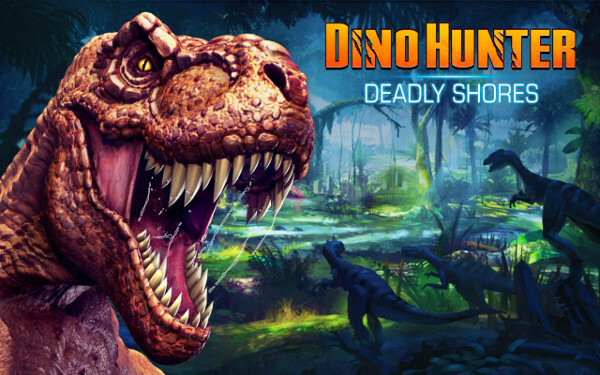 There is something of a similarity between this game and Bigfoot Hunter - if you are familiar with that title - but the focus of the game is original enough to keep the hunter in you entertained for sure. Besides, how often do you hunt game that will eat you if you make a mistake?? Thanks to the variety of weapons, and the variety of dinos you get to hunt, this one has a pretty strong pull and attraction that - assuming you enjoy hunting games - is likely to bring you back again and again. We found it very difficult to stop playing - but then we like hunting games, so go figure? There is light advertising in the game, as well as an in-game store for In-App Purchases. The store basically offers the currency that is used in the game for buying kit in different sized packages, as well as Gold which is used for buying Energy to refill the meter so you can keep playing. When we say light advertising what we mean is, in addition to the ads that they offer you a reward of Gold to watch, there are pop-up full-screen ads that will appear at strategic points in game play - we say them between hunts and especially when we did particularly well on a hunt. It is easily possible to go a long way - assuming you are a good hunter - on the rewards you obtain during your hunts - just saying. Whether you choose to spend money here is one of those deals where it sort of depends on how much you like the game and want to play it. That could be a problem for you though, because the game is fun and you are pretty certain to like it and want to play it! The basic strategy for moving forward in the game and unlocking new maps / hunts requires you to collect all of the pieces of the current map, which you find in the main missions and the boss hunt. Until you find and gather all of those pieces you can only do the first series of hunts. To put this in perspective for you, the first hunt you go on is to Kill 1 Velociraptor - and if you have not watched the movie Jurassic Park you may not be aware that those suckers are dangerous! Even placing your shot perfectly will usually fail to one-shot kill that puppy - and once you wound it, it is coming for you! So you will need to very quickly reload your one-shot rifle - why are you using a one-shot rifle?! And shoot it a second time, in a vulnerable spot in order to complete the hunt! Once you do you get a critique of your hunt in terms of a score screen - with extra points for heart or lung shots. There are 8 regions to hunt in - all of which must be unlocked by successfully completing the series of hunts in order to score the map pieces. Fortunately and depending on how well you hunt there are multiple pieces per hunt to be had. 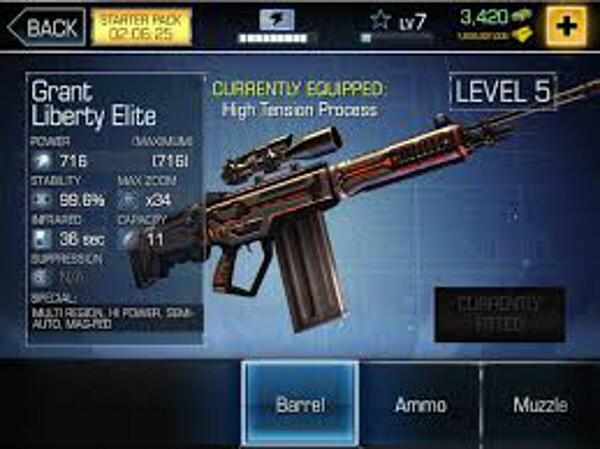 The game includes the to-be-expected weapon shop in which you can upgrade your weapons and buy new ones - you make those purchases with the in-game money you earn or you can buy a pile of cash or gold via the in-game store for real-world funds if you are impatient to play through and earn the bucks or you just want to have a buffed arsenal straight away. The contents of the in-game store is divided between special deals, Gold, and Hunter Bucks, with prices ranging from $4.99 to $99.99 depending on how much you are buying. The game uses an Energy System that is recharged using Gold - which explains why you might need to buy some if you don't earn enough on your hunts - since you need Energy to play! Note that you can obtain free Gold in limited quantities by watching sponsored video ads in-game. The actual game play is divided between the campaign (story) mode, and Contract Hunts in which you go after specific targets, shooting them in specific ways, and with specific weapons for extra value rewards. 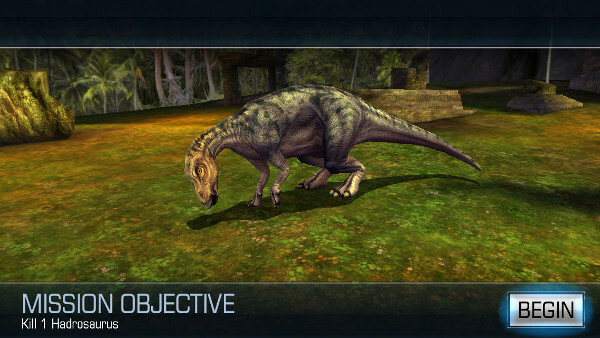 Obviously this is a video game, and its prey are animals that while science would like to say it knows precisely what they look like are, in most cases, the best guess in terms of color and appearance that science can make. That being the case, the cartoon-like depiction of the world and targets in the game is both easy to grasp and spot-on in terms of eye-pleasing appearance and effect. The game includes a spirited soundtrack of sorts in the form of rock-like background music, as well as interesting in-place sound effects such as the cries of the animals you are hunting - both regular and injured - and the boss thump your weapons make when fired! Considering the price you paid for this title - nothing, it is free to download and play - the quality of the graphical world and sound are spot-on excellent. Considering that the base game is free - and very very fun - it is well worth the nothing that you have to pay for it. 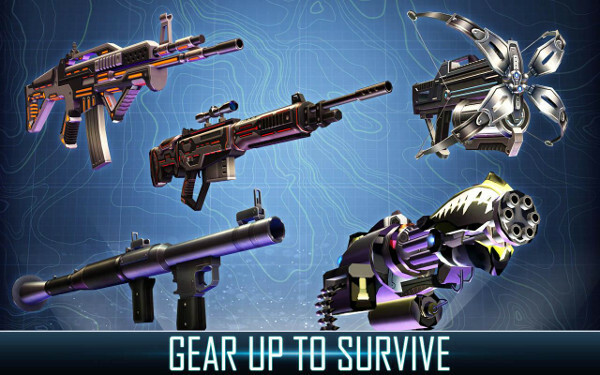 And once you get the hang of the controls - which thankfully are very similar to the other hunting and combat style games made by Glu - are easily mastered if you have experienced them - what we have here is an excellent theme-based hunting app that is a sure fit in your game play rotation! When you do really well in a hunt - get lots of one-shot kills and hit the preferred target spots like heart or lung - the game recharges your energy for you. That means that experienced hunters are going to find that it is a LOT easier to play for free and stay for free than hunters with less skill and experience. That said, the game has a very well-defined attraction to it, and the free versus paid game play is well balanced, making this one a keeper! We give it two thumbs up and a well-earned 5 out of 5 for score!